Testing this link on several different machines and it seems to be loading fine. Are you clicking on a specific link from the home page that doesn't work once your browsing in TheBrain 9's built in web browser? I post you the backup file in TheBrain 9 in attachment. You will see that in the toolbar where you can start the video there is an error message. 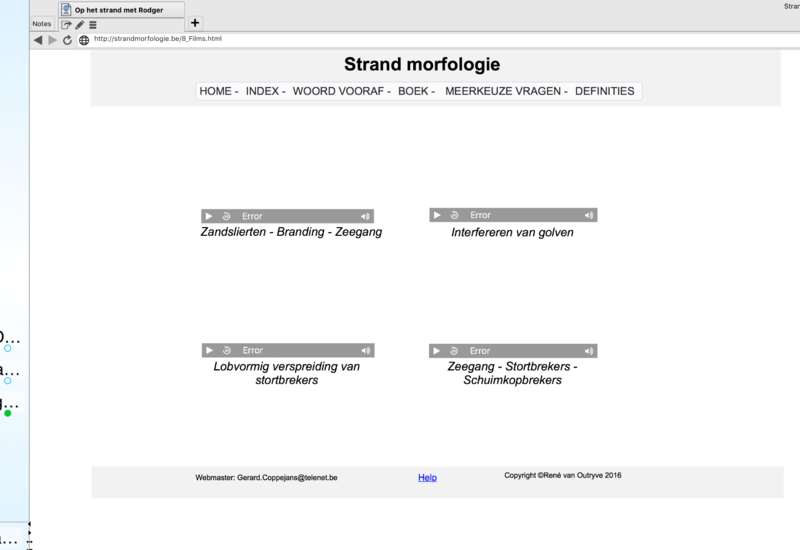 On the other hand when i start Strandmorfologie in chrome, there is no error. Does the brain 9 webbrowser support .webm video files ? I am not sure if the built-in browser supports .webm. I would assume it doesn't since these videos are not playing, so I will make sure it is written up. Thanks. I converted the .Webm video file to apple universal (.mp4) with Miro video converter. The video played wel in The TB9 webbrowser from the note frame ! I would recommand this format when using video files.